In 1996, Sheridan Fabrications began manufacturing worktops. Our experience with customers at the time helped us to identify a gap in the market, for high quality worktops which emulated the designs of leading brands, but without the associated price points. On realising this opportunity, we set out to design our range of Apollo worktops, with the intention of making luxury more accessible to all. Apollo Magna is a smooth solid surface worktop, warm to the touch, resistant to staining and easy to maintain. One of our first trademarked surfaces, with Apollo Magna we sought to create a worktop that was relatively low-cost, easy to install, and offered the same potential for near seamless designs as could be achieved with Corian. At 34mm thick with seamless edge details, Apollo Magna gives the appearance of a much more premium product. Three-sided downturns mean the same premium finish seamlessly continues around the edges and underside lip of your worktop. Available in modular blanks for quick installation on-site, Apollo Magna is comprised of a 6mm solid surface built around a 28mm moisture resistant chipboard core. The successor to Magna, Apollo Slab Tech uses the same affordable solid-surface finish, but delivers it in a superior format. 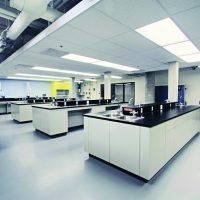 Slab Tech is a 20mm or 30mm full bodied surface which typically does not require any backing or support from additional materials. Perfect for breakfast bars and broad sweeping designs, Slab Tech also offers the same seamless finishes & full-bodied designs. Unique to Slab Tech is a selection of veined colours, which are unavailable in Apollo Magna. Marbled effect worktops have been a constant feature in the luxury worktop market, though they often come with the price tag of natural stones. The consistency of Slab Tech makes it much more suitable for mitigating the problems of matching up natural stone worktops, particularly in kitchens where the worktop continues around corners. Our best selling worktop range, Apollo Quartz is priced below the market leaders and supplied to the same high quality standards. Quartz worktops are man-made, in contrast to Quartzite which is the naturally occuring stone. 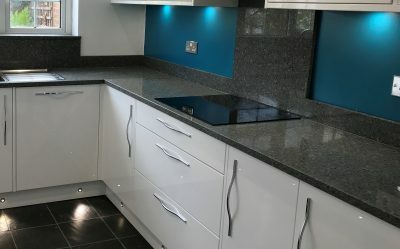 By using Quartz crystals, manufactured with dyes and binding resins, we were able to create a line of worktops which have the same toughness, but with additional flexural strength when compared with Granite. Quartz Worktops are prized for their aesthetic appeal, and the Apollo Quartz selection is no exception. We offer a range of finishes from the smooth and consistent Cement Sand, to the chunky metallic designs of Chromium and Iridium, to our most popular marbled effect finishes in the Lyskam range. After contributing to the popularisation of Quartz worktops, we set out to create an alternative which took the same great aesthetic appeal, with a more environmentally conscious composition. By investing in new technologies, we were eventually able to achieve a finish with comparable strength and its' own unique character. Apollo Recycled Glass is comprised of recycled glass chips and powdered glass, formed with resin and dyes to create a unique surface with translucent elements on it's surface. The visible surface shards embedded within this toughened surface peer into a delicate frosting of crushed glass beneath; offering a perceptive depth which is unseen in any other kind of worktop. As we begin to progress to more sustainable and recyclable products, we found our attention drawn towards a recently emerging technology - Sintered stone. This new process allowed selected natural stones to be fused together under intense heat and pressure, creating a brand new material which is 100% free of artificial binding agents. The result, Apollo Ceramicá, is our most advanced engineered product to date, and boasts extreme resilience to impact, abrasion, chemicals, staining, UV and temperature shock. Joining the Apollo range as our most mechanically impressive product, this premium surface is full-bodied with highly controlled consistency of finish. Apollo Ceramicá can be purchased in a range of natural colours, with the added option of three distinct finishes, Glossy, Satin & Honed. Our most affordable luxury worktop ever, Apollo Compact was developed in response to a rising demand for slim-line ultramodern surfaces. Combining the hard-wearing strength and dimensional stability of a solid grade laminate, with the luxurious standout designs of the Apollo range of worktops, this 12.5mm surface is a new offering with the best of both worlds. The epitome of our mission statement, luxury for less, Apollo Compact offers an accessible upgrade from generic laminated chipboard worktops in our black cored lines: Piazza and Golden Campino. Apollo Compact is highly resistant to solvents, heat, impact, scratches, staining and moisture; making it an ideal long-lasting option. With the introduction of our new White and Grey cored designs, Apollo Compact gives the means to create beautiful and durable designs to consumers of any budget. A timeless material choice, and one of the hardest natural materials on earth, Granite worktops have been a constant presence in the market, thanks to the intricate designs which are unique to every worktop. We source our own lines of exclusive granite styles to compliment some of the most popular variants in the industry, making Granite an achievable reality even for budget customers. Among the Apollo Granite variations are Silver Paradiso, which offers broad sweeping luxurious silver veins over a timeless jet-black backdrop, and Steel Grey, a beautiful intricate finish with metallic and pearlescent elements. Some homes just call for that all natural feel, and wood finishes are perfect for creating these warm, traditional designs. A common drawback of wood when compared against stone surfaces has been its' susceptibility to staining and the increased maintenance required to prevent this. To offset this, we use a revolutionary new oil to seal and protect each of our wood finishes prior to installation, which is also included in our care and maintenance kits. We offer wood worktops from the Apollo range in a range of thicknesses and styles, from 27mm standard worktops, to chunky 40mm and 60mm designs, all available as either modular sections for fitting on-site, or made to measure fabrications. We also have the new options of Butchers Block end-grain worktops in Prime oak. Specially designed for laboratory applications, Apollo Lab 20 is named for it's 20mm thickness, which is available in a range of homogenous and consistent designs. Apollo Lab 20 is favoured for its high chemical resistance, and for being non-porous and easy to maintain. 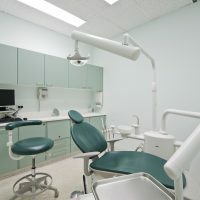 Created specifically for the dental sector, Apollo Dentop is a cost-effective alternative to the non-porous but costly Corian designs which have dominated the industry for years. Apollo Dentop offers a range of consistent and durable styles which are easy to maintain and resistant to staining and bacteria.